PIGEON FORGE, Tennessee (June 6, 2017) – The anniversary of the scene made famous when 95 million people tuned in to watch O.J. Simpson flee the police in a white Bronco is quickly approaching. June 17, 1994 is a date many recall because of the news he made that day, having been accused of killing his ex-wife and her friend. Rather than turn himself in, as ordered by police, the former football star fled with cameras rolling and millions watching. Today, that infamous white 1993 Ford Bronco is on display Alcatraz East Crime Museum in Pigeon Forge, Tennessee. It is estimated that 150 million people tuned into the verdict in the Simpson trial in 1995 where he was acquitted. In 2008, Simpson was sentenced to 33 years in prison for armed robbery, where he remains, but is eligible for parole later this year. The Bronco was kept hidden in a garage between Las Vegas and California for years but was always kept in running condition and preserved in the same condition as it was in 1994. Simpson’s previous sports manager, Mike Gilbert, worked directly with the museum to handle the preservation of this important piece of crime history. PIGEON FORGE, Tenn. (May 24, 2017) – Marking its first anniversary in the Smoky Mountains, The Ripken Experience Pigeon Forge is batting a thousand with baseball fans and city officials alike. Since opening its doors in March 2016, more than 800 youth baseball teams and 70 high school softball teams have taken the fields at The Ripken Experience Pigeon Forge for competition in 30 tournaments. In total, more than 12,000 players and coaches have traveled to play ball on fields that offer unobstructed views of the Great Smoky Mountains, with an additional 600 teams expected to travel to the complex for competition this summer. “Not only did thousands of players, coaches and their families enjoy The Ripken Experience, but they also took advantage of our family-friendly vacation destination, which resulted in visitor spending of $30 million in Pigeon Forge,” said Eric Brackins, Pigeon Forge assistant city manager. In its first year, participants traveled to Pigeon Forge from 25 states and Canada, hailing from as far away as Alaska, California, Massachusetts, and Texas. Other states represented are Alabama, Florida, Georgia, Illinois, Indiana, Kentucky, Louisiana, Maryland, Michigan, Mississippi, Missouri, New Jersey, New York, North Carolina, Ohio, Pennsylvania, South Carolina, Tennessee, Virginia, West Virginia and Wisconsin. The others are Calfee Park in Pulaski, Va., the oldest park in the Appalachian League; Fluor Field in Greenville, S.C., known as “Little Fenway”; Engel Stadium in Chattanooga, Tenn., a filming location for the “42” movie about Jackie Robinson; Winston-Salem Ballpark in N.C.; and Isotopes Park in Albuquerque, N.M.
PIGEON FORGE, Tennessee (May 23, 2017) – Each year, around 10 million people visit the Gatlinburg/Pigeon Forge area. Whether vacationing with their children or enjoying time on their own, most are searching for unforgettable memories while visiting the area. One place that should be at the top of everyone’s list is Alcatraz East Crime Museum, a new attraction on the Parkway that provides both an educational and entertaining time, and includes information and activities for the whole family. 1 America’s Favorite Subject. With all the movies and TV shows related to the topic of crime, this is a must see. The museum features five themes that give visitors a glimpse into notorious crime history, forensic science, law enforcement, our justice system and pop culture. There are over 100 interactives throughout the museum, providing visitors with a hands-on experience. 2 It’s Not About Alcatraz. Although it’s part of the name and the famous prison inspired this attraction, Alcatraz East is a crime museum, featuring an in depth look at American crime history, with artifacts from different eras and topics. The one-of-kind building was designed as a combination of Tennessee’s first state prison from 1898, and guard towers inspired by the Alcatraz lighthouse in California. The two-story building offers over 25,000 square feet of exhibit space. 3 One-of-a-Kind Artifacts. From white-collar crimes to Old West gunslingers, the museum features original artifacts from Jesse James to Whitey Bulger. Things to watch for include the famous O.J. Simpson chase white Bronco, John Dillinger’s death mask, Al Capone’s rosary, a submachine gun from the movie Scarface, Ted Bundy’s VW Beetle. Tennessee is well represented, with objects such as the Old Smoky electric chair and moonshine stills as well as notable Dr. William Bass, highlighting his achievements- which advanced forensic anthropology. 4 Interact with the Museum. Kids (and their parents) can have fun and learn at the same time through the museum’s Top Detective Challenge. Follow clues throughout the museum to solve the crime of a stolen artifact, and receive a prize if you crack the case! There is also an opportunity for parents and kids to enjoy the thrill of The Heist Laser Maze (think Thomas Crown Affair!). 5 Temporary Exhibits. Beginning mid-May, Alcatraz East debuted the first of its temporary exhibit programs, which will be an annual rotation in two areas of the museum. Through April 2018, “Ivory, Tortoise Shell & Fur: The Ugly Truth About Wildlife Trafficking will reveal how endangered species are effected by poaching and what the public can do to help end the practice. PIGEON FORGE, Tenn. (July 1, 2016) — Pointing to the immense popularity of East Tennessee’s favorite entertainment icon, tickets for Dolly Parton’s Nov. 15 Pure & Simple concert at the LeConte Center in Pigeon Forge have sold out. Tickets went on sale to Dollywood season passholders on June 15. Remaining tickets were made available to the general public this morning. Parton currently is in the midst of the Pure & Simple tour, her first major North American concert tour in more than 25 years. Parton has crisscrossed the country performing to sold-out venues, but it is the trip home to Sevier County which may be the most special. Proceeds from the concert benefit Parton’s Imagination Library, a literacy program which provides free books to children from birth to age five. Parking is free at the LeConte Center, however, concert goers should plan to arrive early for the best available parking. The show begins at 7 p.m.; doors open two hours prior to the start. Parton is as busy as ever, and with the Pure & Simple tour, a new CD and much more in the works, she doesn’t plan on slowing down any time soon. Parton’s set-list during the tour includes a number of hit songs, with a few new offerings from her double-disc album Pure & Simple with Dolly’s Biggest Hits. She also is playing a number of hits that have not been heard live for decades. Parton’s Imagination Library is administered through the Dollywood Foundation which partners with local sponsors to provide an age appropriate book each month to children from birth to age five in participating communities. To date, the Imagination Library has provided more than 80 million books in the United States, Canada, the United Kingdom and Australia. PIGEON FORGE, Tenn. (June 2016) – The first three months of youth baseball tournaments at the Ripken Experience Pigeon Forge have been everything the city expected – and perhaps more. “Baseball lives on statistics, and the numbers coming out of the Ripken Experience are awesome. Visitor spending of $6.7 million in Pigeon Forge is simply wonderful,” said Eric Brackins, Pigeon Forge assistant city manager, who worked closely on development of the $22.5 million project. 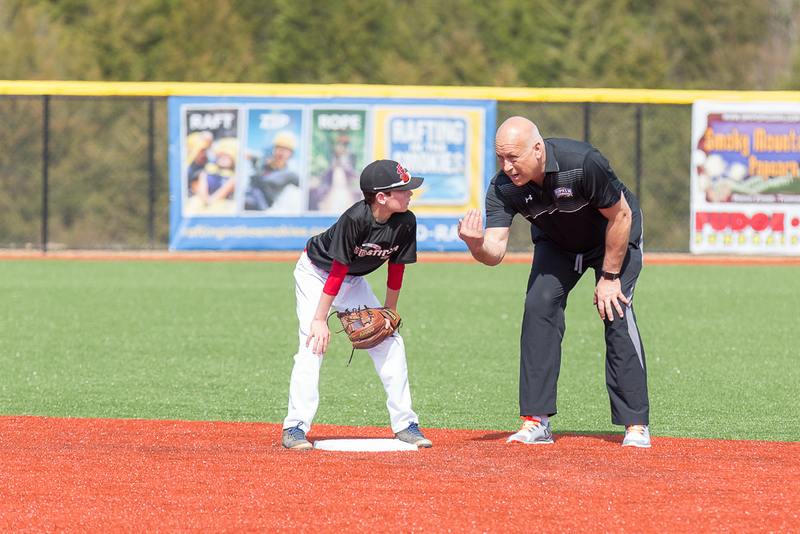 Cal Ripken Jr., a member of the Baseball Hall of Fame and chairman and founder of Ripken Baseball, cut the ribbon on the six-field complex on March 9. The first tournament was March 12-13. Ripken Baseball has a 10-year contract to manage the facility. From mid-March through the third week of June, there have been 11 tournaments that drew 363 teams from 23 states. The Alaska Quakes from Anchorage traveled the greatest distance to play on the fields that offer unobstructed views of the Great Smoky Mountains. “The 363 teams and their followers, almost 18,000 people, benefit Pigeon Forge in many ways. They stay in our hotels, they dine in our restaurants and they have fun at our attractions and theaters,” Brackins said, noting that tournament scheduling gives them plenty of recreational time. The appeal of Pigeon Forge as a family vacation destination was a major reason the city built the complex and contracted with Ripken Baseball to operate it. “We were confident Ripken Baseball could attract teams, and we were equally confident Pigeon Forge would appeal to the players’ families. We’re attracting new people to Pigeon Forge and the Smokies, and we know that new visitors are almost certain to return for future vacations,” said Leon Downey, executive director of the Pigeon Forge Department of Tourism. The Southeast, the Midwest and the Mid-Atlantic produced the greatest number of teams in the first three months. There were 144 teams from Tennessee, 43 from Georgia, 37 from North Carolina and 24 from Ohio. In addition to Alaska, other distant states that produced teams included Wisconsin, Texas and Massachusetts. A tournament with 44 teams from 16 states and Canada in the last days of June will push the team total to more than 400. The Ripken Experience Pigeon Forge is on a ridge above Pigeon Forge. Each field borrows its design from well-known professional ballparks, including Oriole Park at Camden Yards in Baltimore. The others are Calfee Park in Pulaski, Va., the oldest park in the Appalachian League; Fluor Field in Greenville, S.C., known as “Little Fenway”; Engle Stadium in Chattanooga, Tenn., a filming location for the “42” movie about Jackie Robinson; BB&T Ballpark in Winston-Salem, N.C.; and Isotopes Park in Albuquerque, N.M. The Ripken Experience Pigeon Forge will host tournaments nine months out of the year and offer year-round branded events in its 14,000-square-foot clubhouse. Visitor information about Pigeon Forge is available online at MyPigeonForge.com and toll-free at 800-251-9100. 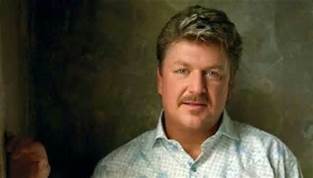 PIGEON FORGE, Tenn. (June 2016) – Grand Ole Opry member and Grammy Award winner Joe Diffie will rock Patriot Festival, Pigeon Forge’s annual blowout to celebrate July 4, immediately before a spectacular fireworks show brightens the sky over this Great Smoky Mountains resort city. Activity begins at noon, and onstage entertainment begins at 1:30 p.m. for guests at Patriot Park. Admission is free. In addition to a variety of local entertainers, music will come from Emily Ann Roberts, who placed second on NBC’s “The Voice,” and Tribute, a celebration of the Allman Brothers Band. Food and family games are part of the day’s activities, and guests are welcome to bring lawn chairs and blankets. Free parking will be at Patriot Park and the city’s Teaster Lane parking lot. A free shuttle will run from the Teaster Lane lot. Fireworks will begin at approximately 9:30 p.m., and WIVK-FM in Knoxville will simulcast the fireworks show’s patriotic soundtrack. 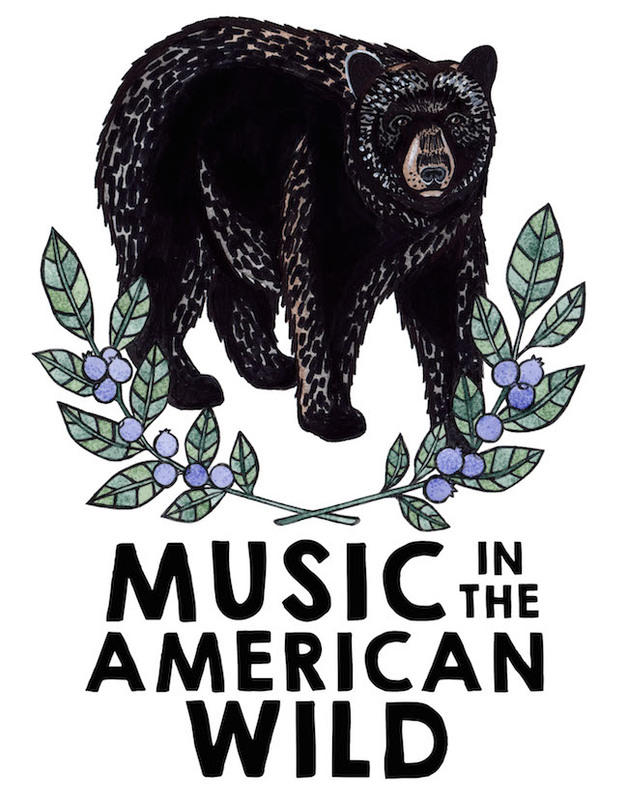 Great Smoky Mountains National Park invites the public to celebrate the National Park Service Centennial with Music in the American Wild for two live performances of music from eleven composers and seven performers, all affiliated with Eastman School of Music in upstate New York. The group is traveling to various National Parks in the country and will play two concerts in the park on June 14 and June 15. On June 14, the performance will be at Purchase Knob near Maggie Valley, N.C., at 6 p.m. Parking is limited, so reservations are required at https://musicinthesmokies2016.eventbrite.com. On June 15, the performance will be at the Cades Cove Amphitheater at 7 p.m. and does not require a reservation. Both programs are free. These concerts are the premiere of music being played in the places that inspired the compositions. The seven performers play flute, clarinet, horn, violin, viola, cello and percussion. Music in the American Wild is part of the Imagine Your Parks grant initiative from the National Endowment for the Arts created in partnership with the National Park Service to support projects that use the arts to engage people with memorable places and landscapes of the National Park System. More information about the project is at www.musicintheamericanwild.com.